Samsung has begun blocking S Voice requests from unsupported devices after its flagship voice-controlled assistant was leaked online. The official APK file was available to almost all users with an Android handset running Ice Cream Sandwich yesterday, and it seemed to be working pretty well. Until this morning. Those who installed the application on an unsupported device are now reporting that Samsung and its partner Vlingo have begun rejecting requests from unsupported devices, rendering the application largely useless. When attempting to perform a voice command, users are now receiving the message: "Network error. Please try again." Members of the XDA Developers forum, who were the first to leak the S Voice APK yesterday, are reporting that although requests are being sent to Vlingo's servers, there is no response to them. It would appear that the service is rejecting all requests from handsets that aren't identified as a Galaxy S III. Like Apple's Siri application — which was undoubtedly the inspiration for S Voice — the service is currently exclusive to Samsung's latest Android handset. Of course, the Korean company will want to keep it that way for the time being because it's a great reason for certain users to upgrade their handset. 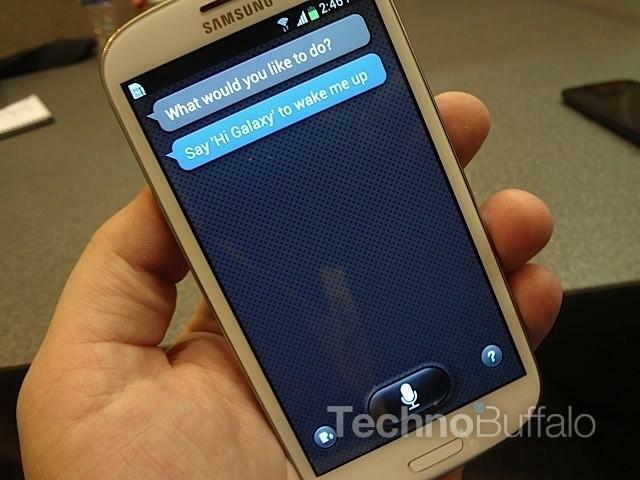 It goes without saying, then, that Samsung doesn't want you to use S Voice on other handsets. However, theoretically it could be possible to bypass this block by fooling Vlingo's servers into thinking you have a Galaxy S III. Did you get chance to use the S Voice app on your handset before it was blocked? UPDATE: The folks over at XDA-Developers have found a work around in changing the model number of your phone. No clue how long it may last, but it's at least a fix for now.